Bob and family at Barney's in Anchorage are definitely on the same page as HowtoHunt Outdoors when it comes to quality and only THE BEST in gear to promote to fellow outdoors people. Drop in and give them a hello or have a look at their gear ! CLICK THE BUIS CARD and visit Barneys. 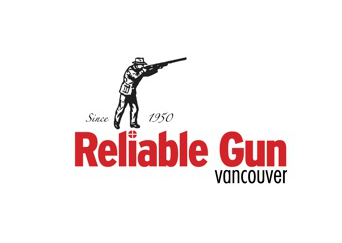 We have spent time in the woods on various big game hunts with Shane at Reliable over the years in B.C. There is no question of the expertise you directly benefit from when dealing with Reliable. Don't hesitate for a second, any needs or questions, drop in on them, call or email ! Ganders Taxidermy. The picture of the beautiful black tail mount above says more than we can in text. Click on the pic and have a look at our good friends shop and work.